Using German imported D type knotter, stable performance, high reliability and baling rate reaches 99%. 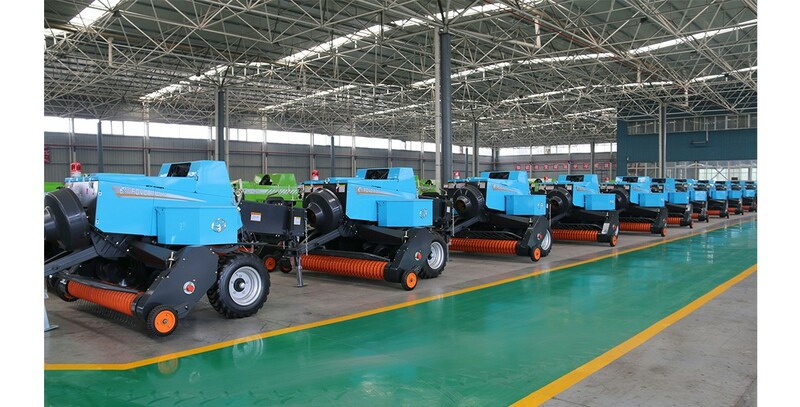 The whole machine is designed with symmetrical longitudinal axis structure, with middle traction and good driving stability and small turning radius. Adopts hollow auger structure, which make the feeding more fluency, no accumulation and no entanglement. Feeding bottom plate adopts mesh structure, which makes the bale contain less soil. The piston bearing adopts the patent high seal bearing (patent technology) made by American Pierre, which effectively improves the bearing life. Left and right protective cover adopts air spring support structure, and it is more convenient to maintain and repair. The main chain automatic tightening device (patent technology) improves the work reliability and reduces the adjustment burden. The knotter and main chain adopt automatic lubrication device, which makes the machine achieve “ maintenance free”. The input RPM over speed alarm, which solves “big tractor drives small machin”and often happen over speed troubles. Add rear light to convenient night operation. Equip with “5 rolls”roll tank to suite large area operation.